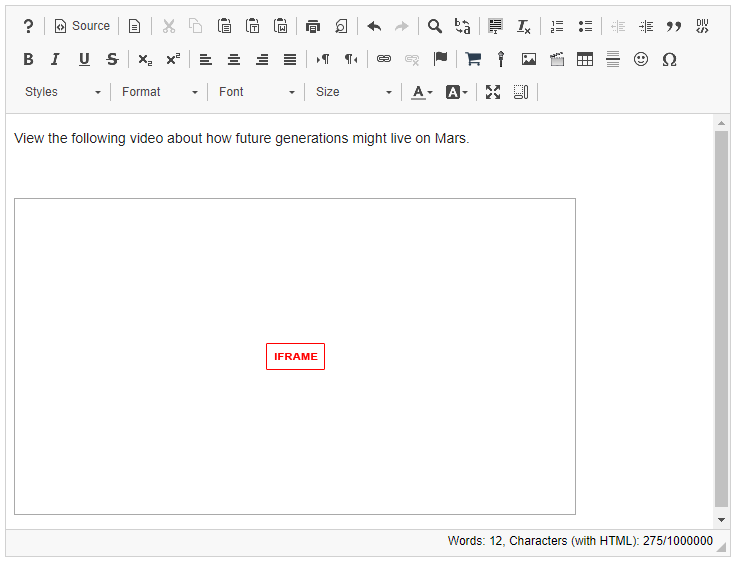 Sakai Guides and DocumentationStudent Guide Rich Text EditorHow do I embed a YouTube video in a text box? Locate the Youtube video you would like to embed in a text box. This displays the YouTube sharing panel. This displays the YouTube video embed code. Zoom: Copy the embed code. Copy the YouTube embed code to your computer's clipboard (CTRL-C for PC or COMMAND-C for MAC). Tip: Remove the check mark next to "Show suggested videos when the video finishes"
In the text box, click Source. This displays the HTML code for the text box. 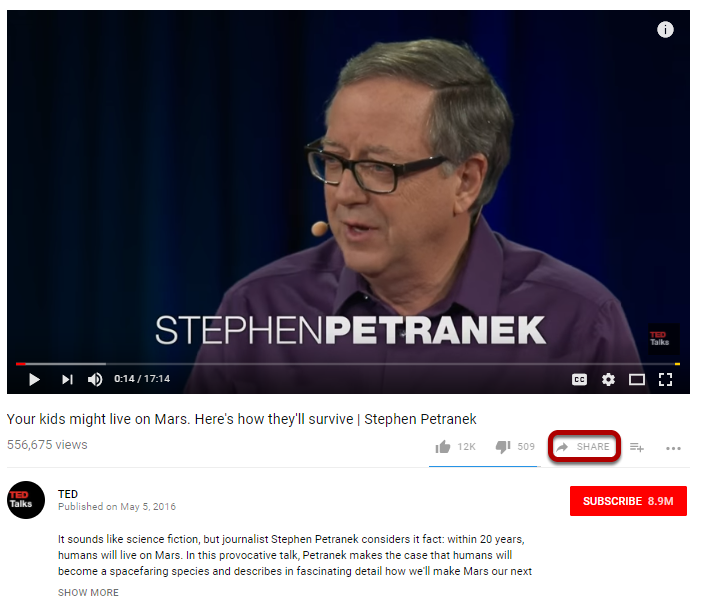 Position your cursor where you would like the video embedded, then paste the YouTube embed code (CTRL-V for PC or COMMAND-V fpr MAC). This returns the text box display to normal editing mode. The embedded YouTube video will display as a box marked "iframe". 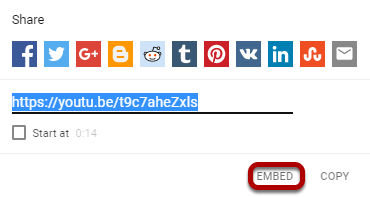 When the item using the text box is posted or saved, it displays the embedded YouTube video. Prev: How do I embed a linked web image in a text box? 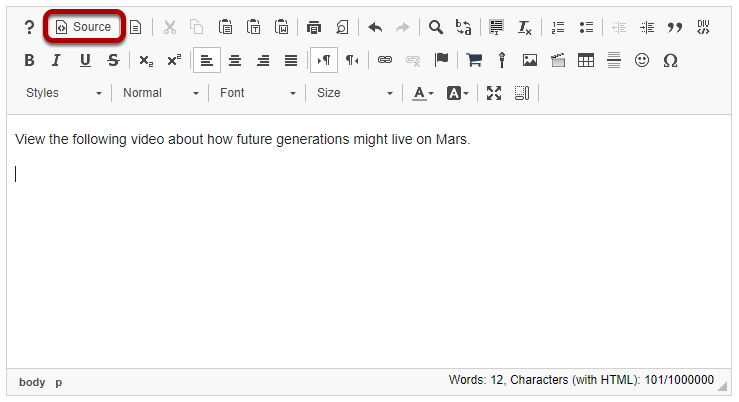 Next: How do I add special characters to a text box?